I thought this was a good title for a blog posting because it's exactly what I was asking myself 9 weeks ago in Johor, Malaysia. We arrived in Malaysia four days before the start of the World League Round 2 competition and after what I thought was a promising start things soon took a turn for the worse. A few days into the competition I began noticing an increasing pain in my lower back and higher levels of fatigued than I was used to so early on in the trip. 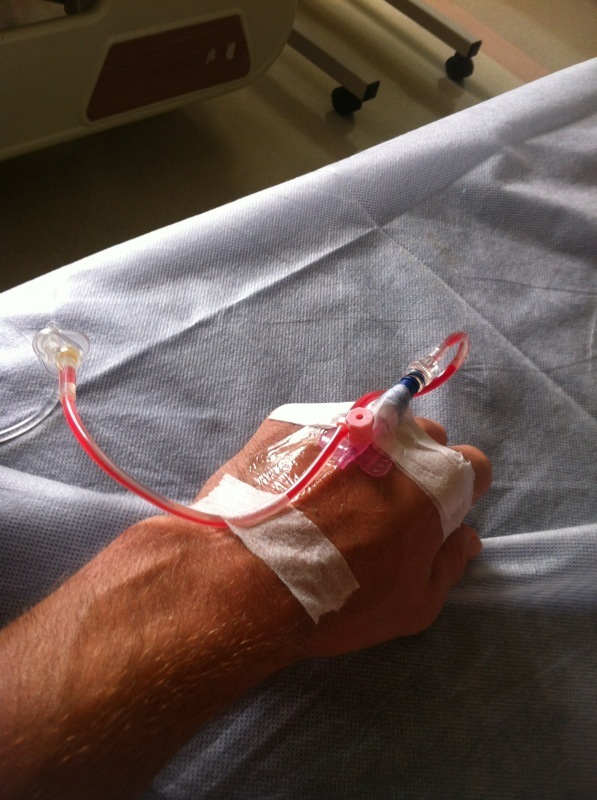 Having spoken with our team doctor and physiotherapist we all agreed it was probably the first signs of chronic fatigue as I hadn't had much of a rest since well before the London Olympics and this was probably my bodies way of telling me I needed to have some time off. I think it was only 10 days into the tour that we realised it was something more than just chronic fatigue. I had taken a course of antibiotics to try and get rid of the fever I was now suffering from and when that didn't improve our team doctor decided I needed blood tests to find out just what was giving me (and him) sleepless nights. After a couple of minutes explaining my symptoms to the local doctor which at that stage were; fever, fatigue, muscle pains and loss of appetite he quickly came to the conclusion of Dengue Fever. I immediately looked to our team doctor to ask what Dengue Fever actually was! 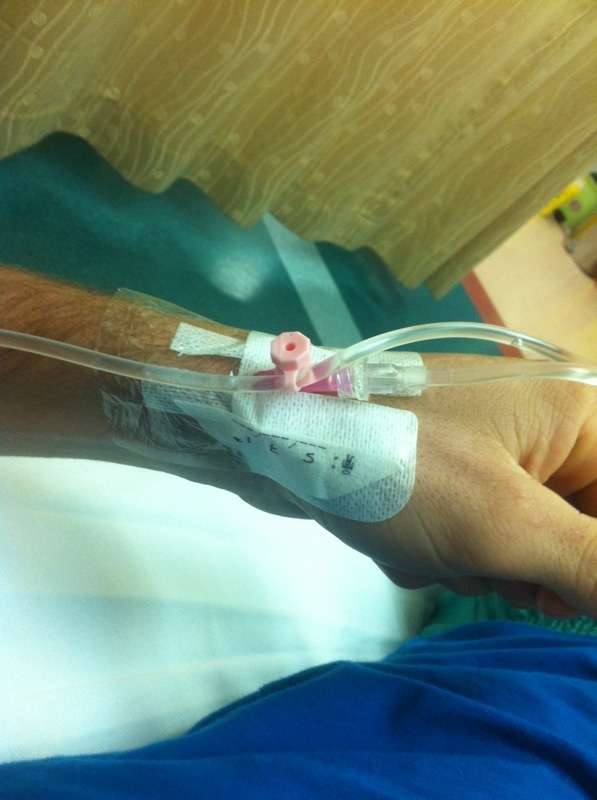 A few hours later the blood tests confirmed it was a strain of Dengue Fever and shortly after that I was admitted into the hospital. I wasn't alone in all this, Jonty Robinson and our physio were also experiencing similar symptoms to myself so they were also tested. As I see it Megyn passed and Jonty failed, so Jonty joined me in hospital and we waved farewell to the tournament after just two and a half games. So what is Dengue Fever exactly? Dengue fever (UK /ˈdɛŋɡeɪ/ or US /ˈdɛŋɡiː/), also known as breakbone fever, is an infectious tropical disease caused by the dengue virus. Symptoms includefever, headache, muscle and joint pains, and a characteristic skin rash that is similar to measles. In a small proportion of cases the disease develops into the life-threatening dengue hemorrhagic fever, resulting in bleeding, low levels of blood platelets and blood plasma leakage, or into dengue shock syndrome, where dangerously low blood pressure occurs. Dengue is transmitted by several species of mosquito within the genus Aedes, principally A. aegypti. The virus has four different types; infection with one type usually gives lifelong immunity to that type, but only short-term immunity to the others. Subsequent infection with a different type increases the risk of severe complications. As there is no commercially available vaccine, prevention is sought by reducing the habitat and the number of mosquitoes and limiting exposure to bites. We sat idly in the hospital frustrated by not being able to play and even more so by the slow internet which meant we weren't even able to watch the games online. We tried to find ways of amusing ourselves. Mostly we just lay in bed and tried to move a little as possible so not to aggravate the delicate drips we had in our hands 24 hours a day. 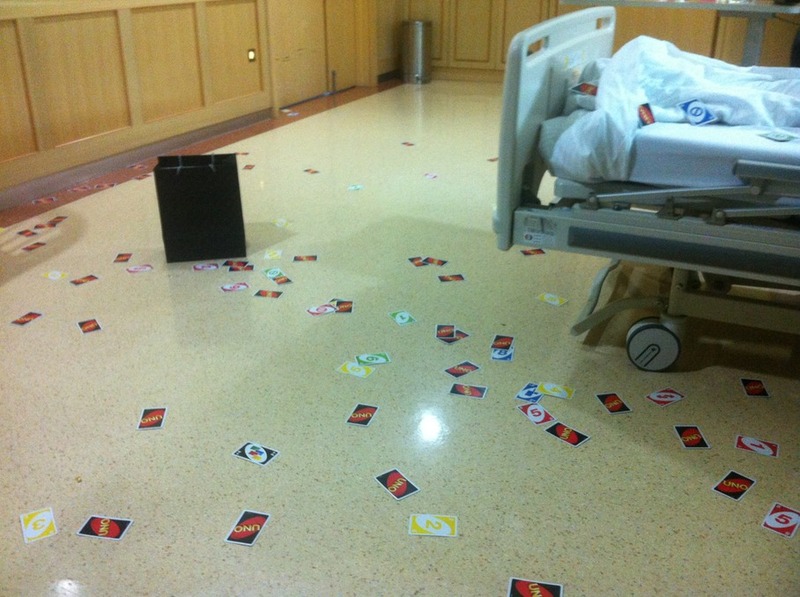 We got bored of playing UNO so we decided to try and throw cards into the bag instead…we weren't very good! It's especially annoying when it starts going in reverse! 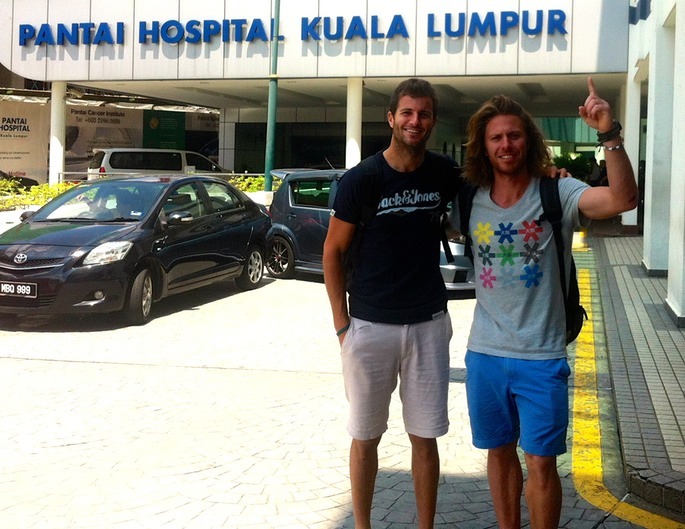 After three days in the Johor hospital and the worry that if things got any worse we may need a blood transfusion the doctors made the decision to move us up north to Kuala Lumpur. My first trip to KL, not quite how I envisioned going there for the first time but the city did seem very impressive as we drove through it on the way to our second hospital. This time Jonty and I were sharing a room. Things gradually began to improve and our platelet count at long last started rising. The doctor said we would only be cleared to leave once our platelet count was above 90 consistently. Frustratingly Jonty reached that magic number first and was discharged and left me on my own hoping that I would soon follow him home. The next day my count jumped dramatically and I was also given the all clear. That evening I caught a connecting flight back to The Netherlands. You can tell Jonty had been out for a day already, goodbye Malaysia! 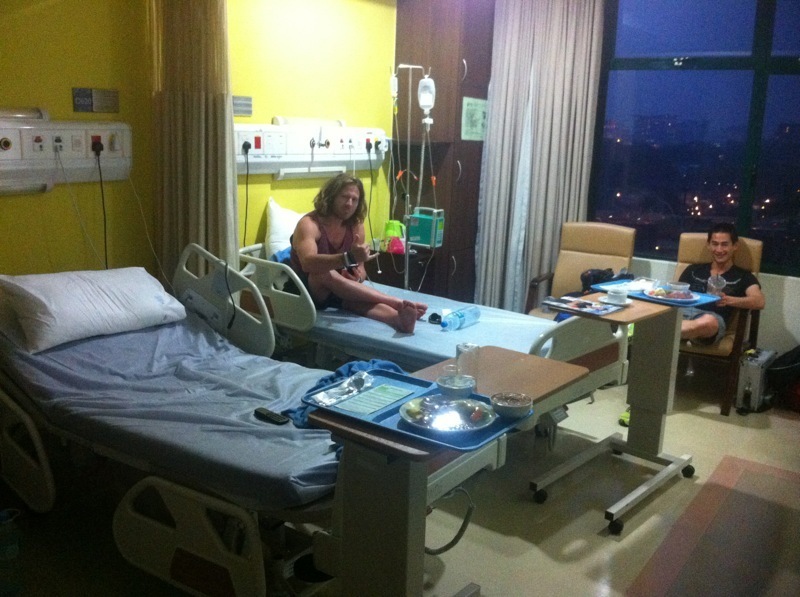 During our stay in Malaysia were incredibly well looked after by all the nursing staff and the doctors. Our own team doctor Dr Gavin Shang actually stayed on in Johor and Kuala Lumpur to make sure we were in good hands and has also helped us make a full recovery. 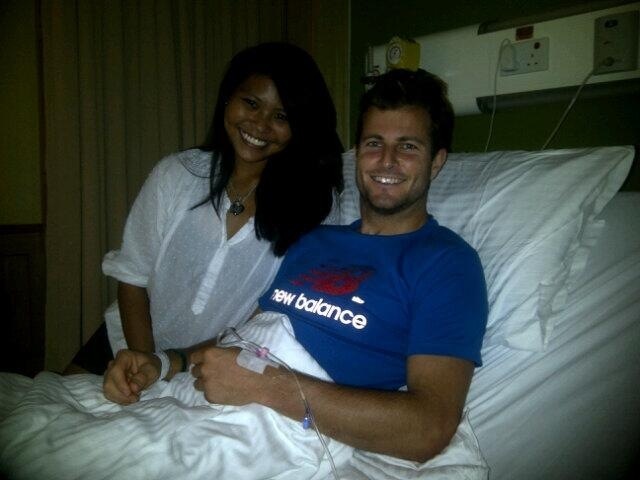 We had a lovely visit from the Malaysian team coach (and ex SA Hockey mens coach) Paul Revington and his wife. Another ex member of the SA Hockey team who practices as a chiropractor in KL graciously helped us out logistically and with accommodation. We also had visits from people in the local hockey community. All these people coupled with all the support from back home made the whole experience that much more bearable. I hope you all know how much it meant to both myself and Jonty. I guess it's another story for grandchildren one day… I can add it to the story of being deported from China ahead of the 2008 Beijing Olympics. 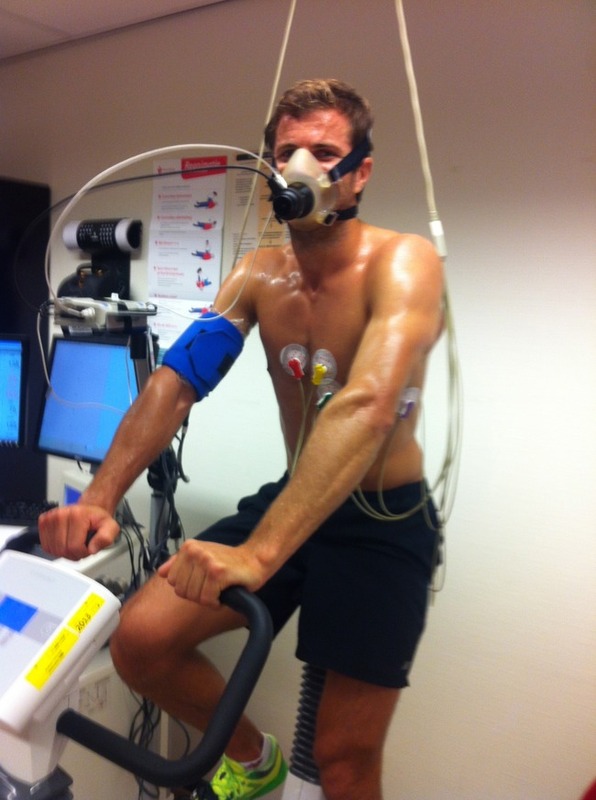 Back in The Netherlands I needed to pass a full fitness test as well as more blood tests until I was given the all clear to begin training again. 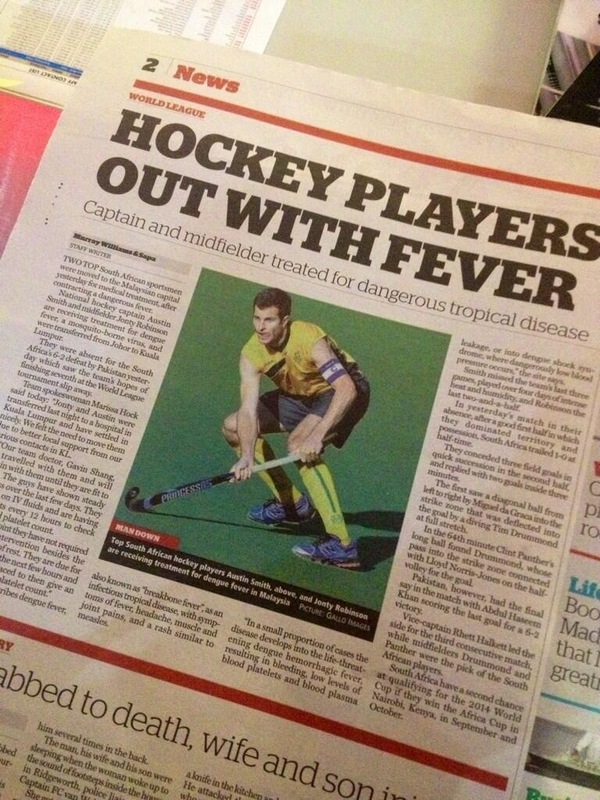 It also made the headlines in SA, always good to have hockey in the press no matter how it comes!